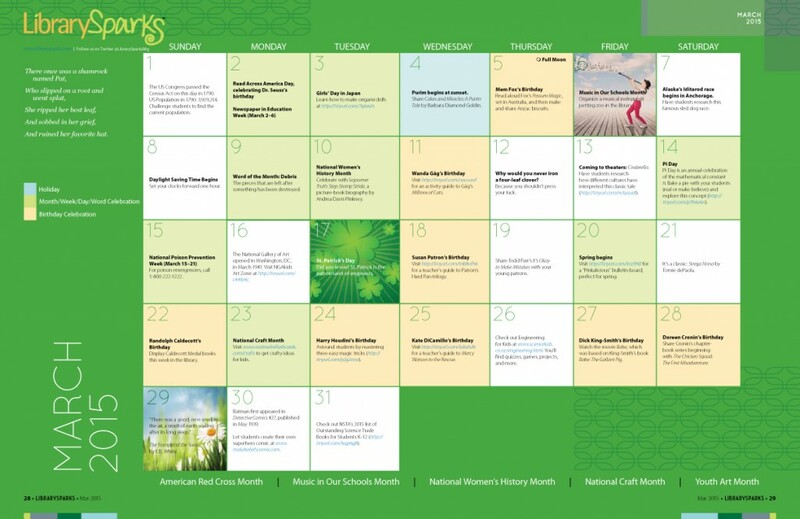 Let your creativity blossom as you celebrate March holidays and observances, including Youth Art Month, National Craft Month and Music in Our Schools Month. March also marks the birthdays of Dr. Seuss (Theodor Geisel), Randolph Caldecott and many more. Welcome spring with great book, activity and display suggestions for children of all ages!